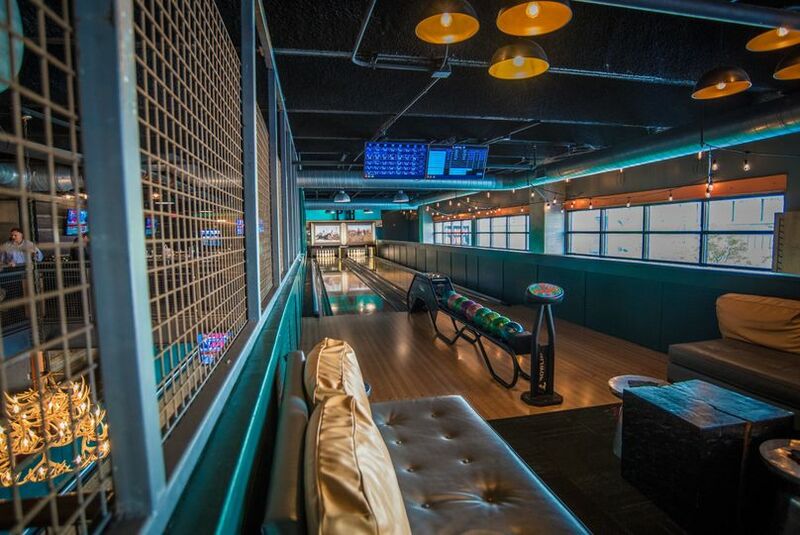 Punch Bowl Social is a nostalgic restaurant wedding venue for couples in the greater Detroit, Michigan area. 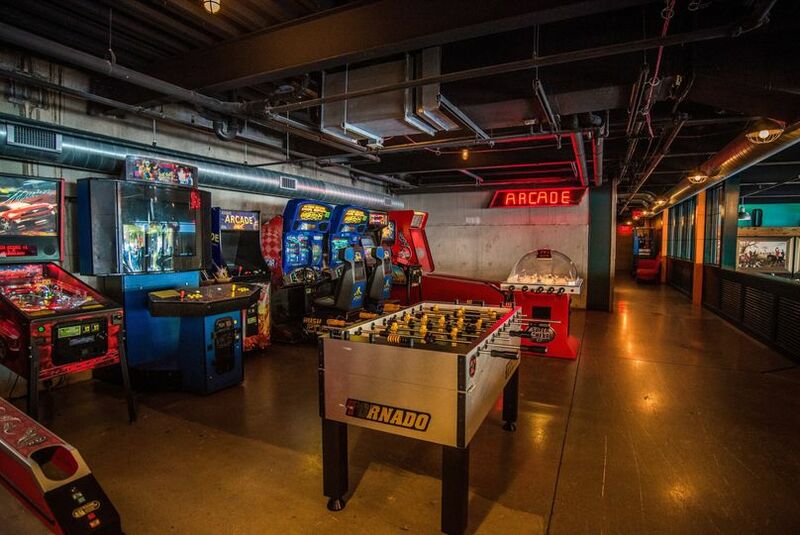 This venue features eclectic decor as well as retro components; it even has a vintage arcade. Decor such as exposed brick walls and teal accents help take couples back to another time and add vibrancy to their wedding celebration. 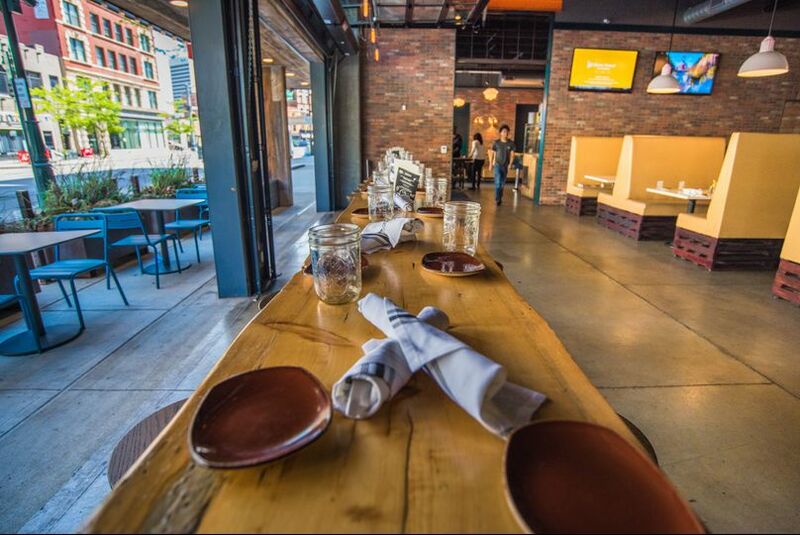 This restaurant is located in the heart of downtown Detroit, near the Greektown Casino and Detroit Opera House. 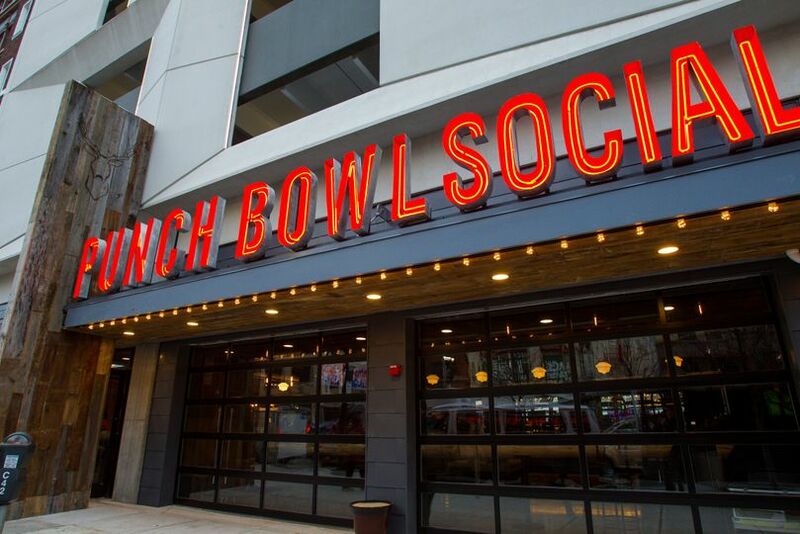 Couples can celebrate their wedding with up to 300 guests at the Punch Bowl Social. This restaurant wedding venue invites couples for ceremonies and receptions but also for bridal showers, engagement parties, elopements, and rehearsal dinners. Couples will find many open and well-lit event spaces for their wedding. Even the private rooms feel spacious, so couples with parties of any size will never feel cramped. The 360 Bar features an entire wall of windows letting in natural light and urban city views. 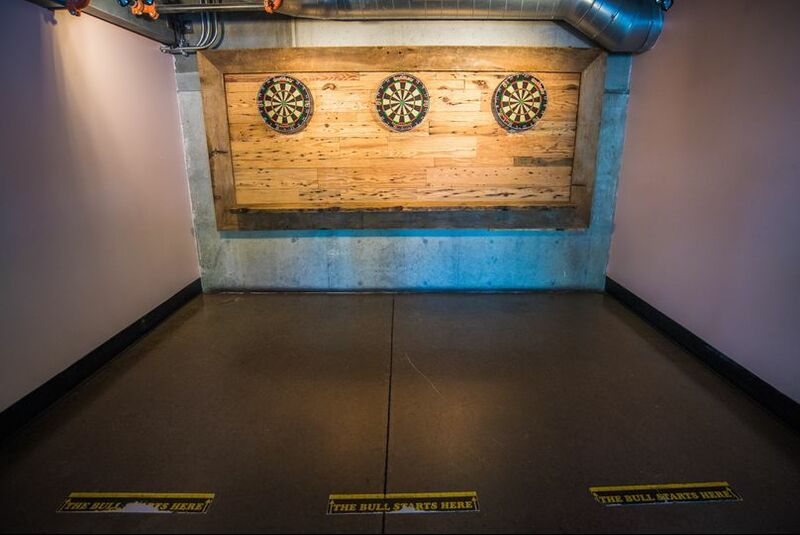 It also has a circular bar in the center of the room from which the space derives its name. 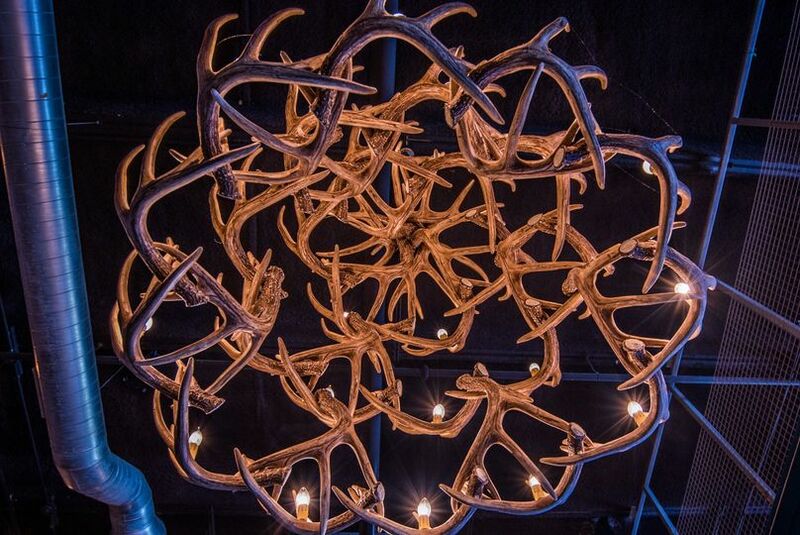 Above the center of this bar hangs a chandelier made of antlers. 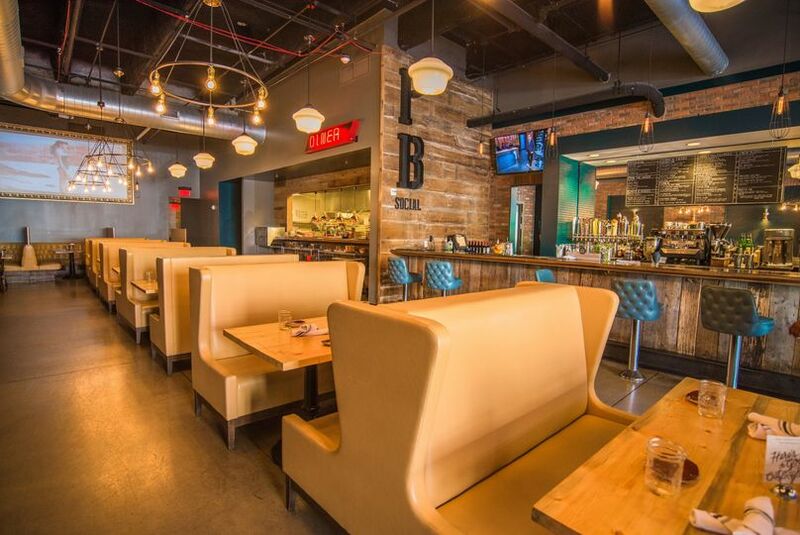 Surrounding it, high-top tables sit with wooden chairs and a polished industrial appearance. In the Diner, the large walls of windows are built like garage doors, such that they can be opened in warmer months to allow access to a patio. The patio add additional space and a breezy feel to the Diner area of the Punch Bowl Social. The Diner Bar, meanwhile, features booth seating and a long bar with chairs of a tufted teal material. This space also has exposed brick, high ceilings, and hoop-shaped industrial light fixtures. 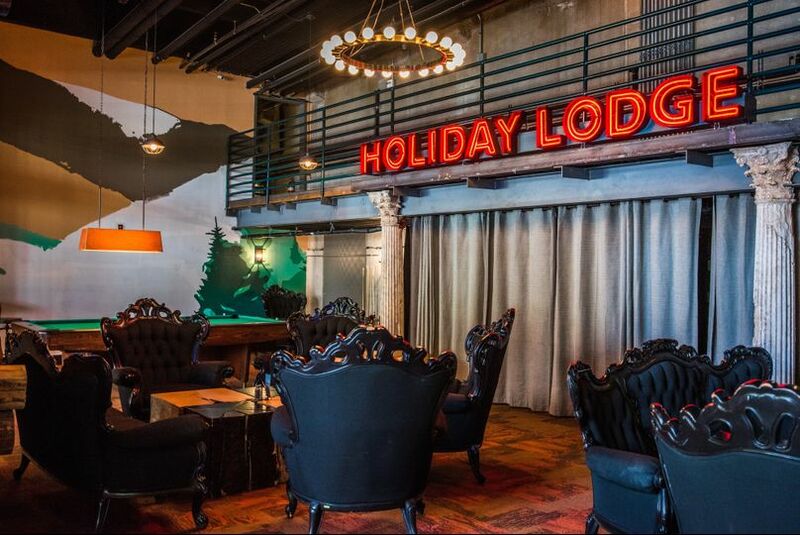 The Holiday Lodge on the first floor is a comfortable lounge space complete with ornate black furnishings and a pool table. 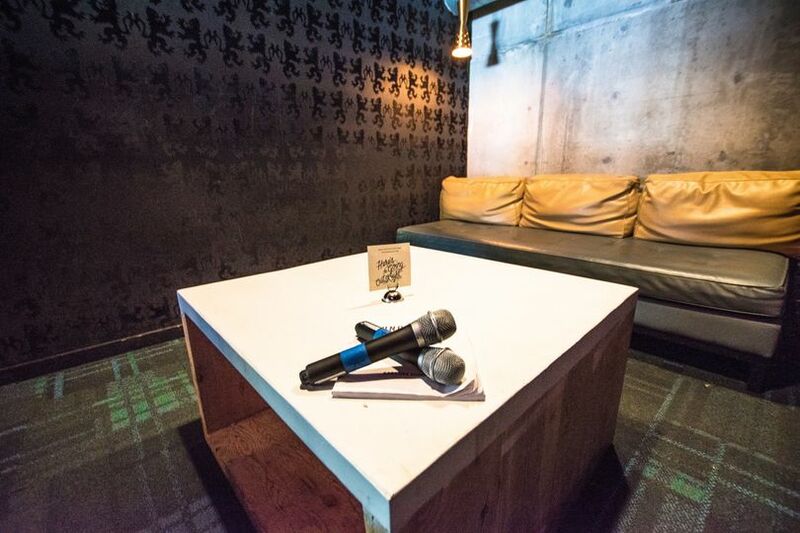 Other spaces, such as private karaoke rooms and bowling lanes make for comfortable and entertaining event spaces. This venue comes with an event planner to help couples map out the details of their big day. This planner can help couples create a completely customized event that fits their needs and preferences. This includes helping choose menu items, finding a space in the restaurant that’s appropriate for their party, and organizing activities. Couples will find onsite parking at this venue, as well as bar and catering services, given that it is a restaurant. This restaurant also provides its own barware, flatware, glassware, and linens.